Grim tidings to you all, canonheads. Hopefully you all had a fabulous holiday weekend and now find yourself looking ever forward to all the Halo we’ve got in store for fans this year. This Canon Fodder is lovingly crafted within the WiFi realms of both the Las Vegas and San Antonio airports as I prepare to spend the next few days in the Lone Star State playing the role of GrimBestman One for one of my dearest friend’s lifetime co-op celebration. As my mind dithered around all the potential stories I could bring up when the time comes to toast, I couldn’t help but smile a bit as I passed another traveler wearing the Master Chief across his chest proudly. “Nice shirt.” I told him. “Hey thanks, you too!” he replied, directing his attention to the Halo 4 Global Championship shirt I’ve been wearing for the past however many hours. 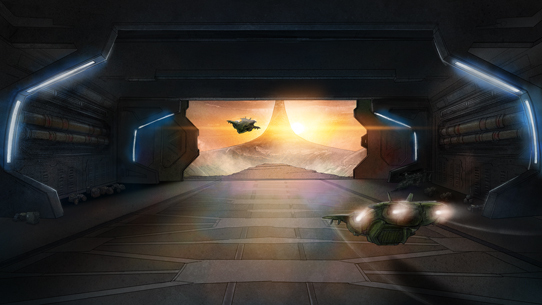 It was a pleasant interaction between two Halo fans, and it served as a poignant reminder that amidst the tireless efforts poured into both creation as well as curation, we at 343 Industries are still at the heart of it all, fans. Many evenings after getting home from the studio, yours truly can be found camped on the couch, partied up with a regular crew of GrimBrothers – some blood relation, some that might as well be. One of our favorite pastimes is co-op Legendary campaign, which sees the Covenant eventually fall against our relentless onslaught. That is, until someone inevitably initiates what we‘ve come to call “the purge,” where a mis-aimed plasma grenade ends up betraying one of us and the Covenant can only stand by in awkward curiosity as they watch four previously lethal Spartan supersoldiers quickly dissolve into a yelling, running, laughing, ball of betrayal that continues until a sleepy stupor claims our evening. “Floodgate” closing (Halo 3) – An unsung cutscene hero, this one might be my favorite of all time. Beginning with Chief and 343 Guilty Spark meeting once again, the cinematic only gets better as we find ourselves standing within the Shadow of Intent; you’ll have to pardon my inner fanboy. The key moment in the entire thing for me is the “weapon trade” scene; seeing this new but fragile alliance gain just the smallest amounts of traction as old enemies unite against new foes. So. Good. “Arbiter” opening (Halo 2/Halo 2: Anniversary) – How can you not like this? Every time I watch it I’m transported back to 2004, a confusing and crazy time when the Lightning were Stanley Cup champs and the Covenant were suddenly more relatable than ever. There was a strange mix of emotions as we were introduced to a character that would become so beloved by fans, and such an integral part of the Halo universe. It only gets better as it transitions into the Phantom where Rtas ‘Vadum is preparing his elite spec ops Sangheili for yet another moment of glory, and the interaction and exchange between the half-jawed shipmaster and the newly appointed Arbiter is just plain perfect. “Invasion” (Halo: Spartan Ops) – The episodic adventure’s seventh chapter got so many things right for me. From Halsey’s nigh-perfect portrayal, to the expertly timed swell of the music just as she is made aware that John lives, to the insubordinate but inspired slap she quite literally hand delivers to Captain Lasky. And there are so many more… from Lasky and Chief’s heart-wrenching exchange on the deck of the Infinity at the end of Halo 4 to the still-invigorating “Monsters” cutscene from Halo Wars, which put true S-II awesomeness on full high-def display. I could go on and on, but instead I’ll call upon my inner Levar and remind you that you don’t have to take my word for it. 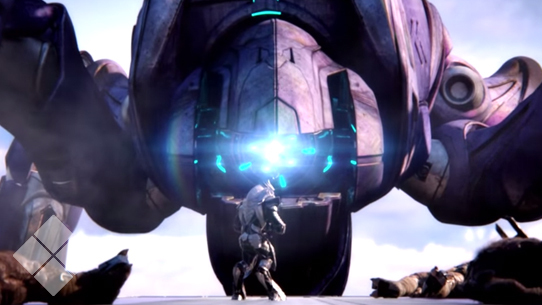 Let’s see what a few other well-known Halo-heads have to say about their favorite cinematic moments. - Closing cinematic of Halo 4 because it is actually telling two separate stories, but uniting them under the Reclaimer perspective. Both the narrator and the Chief are candidates for that “position” and both of them are diminished, both of them have had a very real part of themselves destroyed. - The Halo 2 bridge cinematic, because I can relate to Sgt. Johnson in that I know what the ladies like. - The opening cinematic for Halo 4 because it retold the history of the Spartans and the Master Chief through the lens of conflicting ideology (Halsey and the interrogator interviewing her). I still get chills watching it and I’ve probably watched it hundreds of times. - The Spartans vs Elites sequence (“Monsters”) in Halo Wars because the action is awesome and Blur makes things look purdy. - "Once more with feeling" from Halo 2 where their roles are reversed and Cortana is instead faced with the idea of losing Chief. 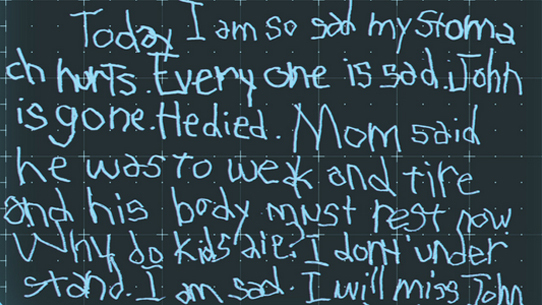 - Halo 3: “Rescue”. This short clip does an incredible job of conveying a long friendship and how important these two are to each other. It changed my filter on how I’ve listened to Chief/Cortana banter ever since. What are your favorites? Make sure you hit the discussion link at the end of this week’s issue and give us your thoughts! After the startling discovery of John’s death record from Elysium City, Benjamin Giraud is eventually able to get in contact with the Office of Naval Intelligence’s Michael Sullivan, who assures Ben that there should be nothing to worry about. After all, how much could the records of a glassed colony world be trusted? In order to further quell his incredulity, ONI arranges a meeting with Vice Admiral Gabriella Dvorak aboard the UNSC Unto the Breach, one of the newest Autumn-class UNSC cruisers. A fitting site considering the subject of his reports. But just when all doubt seems to have subsided after Ben’s chat with the Vice Admiral, a surprise resurfacing of Ellie Bloom leads him on a very different path, with a potentially story-breaking new direction. It’s only going to get deeper from here, folks. Make sure you are following Ben’s hunt for the truth on the web as well as on the Halo Channel and iTunes! If you’ve been watching the Halo Channel (you have been watching, haven’t you? ), then you know that one of the awesome pieces of content you can find are excellent community creations that are submitted by fans and curated by 343 Industries. One of the greatest things about the Halo community is just how many different interests and groups it can sustain, and Community Creations on the Halo Channel is a superb example of just that. From slick multiplayer montages to crazy cosplays, the community is always full of surprises. With that in mind, we’d love to see some of our canon-focused community members get in on the action as well! I grabbed Jesse Stipek, one of the Halo Channel’s awesome and talented producers, and asked him if he had any advice for story-minded folks who wanted to submit something for Community Creations consideration. 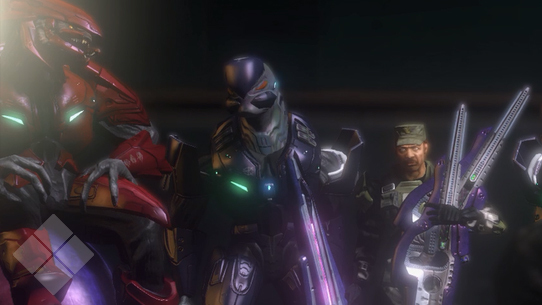 GRIM: So Jesse, we’ve been talking about wanting to see more story-related community content on the Halo Channel. Can you give any particular tips to fans who might be thinking about submitting content? JESSE: As for gaining some awesome Community Creations from the Canon Fodder crowd, I think it’s a brilliant idea! Fans who are interested should send a link to their creations to the official Community Creations submissions alias: videosubmissions@halowaypoint.com. It’s absolutely the best way to get your content in front of us for consideration. GRIM: Any particular formats you prefer? And are there any guidelines for “dos and don’ts” when submitting content? JESSE: Absolutely! Earlier in the year we actually released some basic submission guidelines which you can find on our forums right here. I’d say probably the biggest caveat is the use of copyrighted music, which is prohibited unless we have written permission from the artist(s). It is important to note that since we own the rights to the Halo soundtracks, adding that into your content is totally okay. JESSE: As we get closer and closer to the release of Halo 5: Guardians we’re going to begin to see more and more submissions, so now is the time to get in on the ground floor! And of course, while most fans who hang out around these parts are probably more story and lore-focused, we’re always open for other types of creations, such as cosplay, illustrations, campaign speed-runs, tricks, music covers, and montages. Once again, as long as they own the music (or we do) and that it has solid production values (great audio, resolution, compelling visuals, etc.) it’s totally up for consideration. Ultimately, we’re just looking for top-notch creations from the community that we can show off to anyone and everyone on the Halo Channel! GRIM: Thanks Jesse! You heard him, loremongers, get on those story speculation and fiction-focused content submissions! Well my story-stalwarts, the 4am-shift airport staff are starting to look at me in ever more odd ways, so I should probably wrap things up for this week. Thanks for joining us for today’s more introspective issue. Tune in next time for more mobilization of the fiction forces! 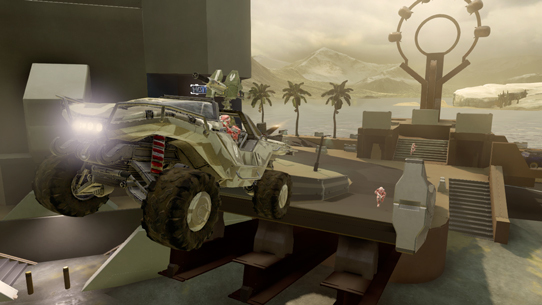 Until next week… Live well, play Halo, and don’t expect to find hidden story content in airport terminals. Cruisers are large UNSC capital ships generally utilized for their heavy armament and extraordinary resilience. This week in Canon Fodder, we dig a bit deeper with a big battle bug, and learn what types of armors you love to don.